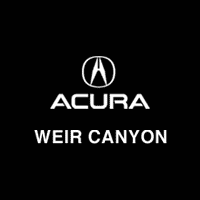 Weir Canyon Acura in greater Anaheim is proud to serve the Orange County, Costa Mesa, Riverside, Corona and Mission Viejo communities with quality Acura vehicles. With the latest models like the ILX, MDX, RLX, RDX, NSX, and TLX, we carry a vehicle to fit everyone’s needs. Come over and visit us at 8375 E La Palma Ave and test drive a new Acura, a used vehicle, or to take advantage of many of our special offers. Our customers leave our dealership 100% satisfied with our excellent customer service and our friendly salespeople. We carry a variety of used luxury cars and SUVs in Anaheim for you to choose from, all of which have gone through our detailed quality inspection before made available on the lot. We offer car loans and Acura leasing in Anaheim so you can get into the new Acura or used vehicle you want without a problem. We at Weir Canyon Acura are not just your greater Anaheim Acura dealership, we have a full-service repair and body shop so you can get the best care for your new Acura or used vehicle. Whether you need Acura auto repair, scheduled service maintenance or Acura auto parts, we are ready to be your first and only choice for quality work on your car. Stop by our showroom and see the latest additions to our Anaheim area Acura dealership or give us call today! The David Wilson Automotive Group is an organization of dealerships and related companies that specializes in the retail sales and service of vehicles. Included in these companies are nineteen automobile dealerships, a specialized automotive finance company, and a distributorship for aftermarket automotive products. The organization is characterized by its strong emphasis on customer loyalty and retention, as well as its excellent reputation in the automotive industry. The Company had its beginnings in 1983 when David Wilson, the new general manager of Toyota of Orange, bought 25% of the dealership. Between 1983 and 1985, when Wilson purchased the dealership outright, sales volume increased from 2,500 vehicles per year and $30 million in sales to 8,000 vehicles per year and nearly $100 million in sales. Since that time the organization has grown from that one Toyota dealership with 90 employees to encompass a group of seven Toyota dealerships, three Lexus dealerships, three Honda dealerships, an Acura dealership, two Ford dealerships, a Volkswagen dealership, and a Mazda dealership supporting over 2000 employees and producing nearly $2 billion in retail sales annually, making the Wilson Automotive Group one of the largest privately held auto groups in the nation. The Company attributes it success and growth to its strong emphasis on customer loyalty. A major percentage of the Company’s business is due to return customers. The Wilson organization realizes the necessity of building a relationship with the customer so that he or she will return to the same dealership, and refer family and friends as well. Of prime importance in obtaining customer loyalty is first creating and maintaining employee loyalty. Employee turnover throughout the Company is negligible. The majority of management has been with the organization a minimum of 5 years, many as long as 20 or 25 years. The philosophy of the Wilson Automotive Group is “treat employees as you want your customers to be treated.” Satisfied employees create satisfied customers. This is a unique philosophy in the automotive industry. The result of this philosophy is that the Wilson Automotive Group is respected as a leader in the industry and has been able to expand rapidly while maintaining the personal relationships so important to employee and customer loyalty. One of the greatest assets of the Wilson Automotive Group is its continuity and economy of scale. In fact, one of its most unique assets is its carefully honed, highly successful advertising plan. Over the past 30 years the company has won awards for its media, including a “Golden Mike” award for its “You Won’t Get a Lemon” jingle at Toyota of Orange. The tune and theme of that jingle have been carried over to other dealerships, along with the Company’s proven formula for advertising success. The logo and marketing emphasis for a new dealership are usually in place before the dealership has closed escrow. One agency handles the advertising for all the company’s various entities; and a dealership is easily recognizable as a David Wilson facility by its radio, television, newspaper and internet marketing. An additional advantage, of course, is the Company’s ability to purchase large blocks of advertising at “economy of scale” pricing. Unique in the automotive industry is the Wilson Automotive Group’s emphasis on recruiting, training and retaining qualified professional employees. The Company’s 401K plan and other extensive employee benefits are also unique within the industry. The Wilson organization’s philosophy is “always promote from within.” This emphasis on taking care of its valuable associates increases employee motivation and satisfaction, which in turn promotes customer satisfaction. Employee turnover is very low within our organization while turnover throughout the industry is notoriously high. These quality associates continue to grow in knowledge, experience and value to the Company. As a result, there is always a need for management-level positions in which to place these individuals. While many dealerships are constantly searching for qualified employees, the Wilson organization is searching for new dealerships in which to place its loyal, skilled, long-term employees. As more and more customers return to the Company’s group of dealerships, the organization has been forced to expand to meet customer demand. This has resulted in diversification to include a finance company, an aftermarket distributorship, and domestic as well as import auto dealerships. For instance, the Company realized that in a slow economy, when people are not buying new cars, they are spending more money maintaining their older vehicles. Therefore the dealerships expanded their service departments (Toyota of Orange, for example, increased service stalls from 18 to 44). Every dealership is equipped with Wi-Fi for customer use. And several of the dealerships have snack shops and shopping boutiques – one even features a putting green. These are just a few of the examples of the numerous methods implemented by the Company to become a full-service automotive organization and to expand to meet all the needs of their customers. The Wilson Automotive Group is a leader in the automotive industry, well known for its quality employees, high customer retention and ethical business practices. In the year 2011 the Wilson Automotive dealerships sold over 35,000 new and used retail units and achieved the highest manufacturer awards for customer satisfaction. As it continues to grow and provide ever-expanding services for its customers and growth opportunities for its employees, the Wilson Automotive Group is determined to remember that the customer is the lifeblood of any business, and that loyal employees and customers are any company’s greatest assets.